Using Copyright Law to Prevent Parallel Importation: A Comment on Kraft Canada, Inc. v. Euro Excellence, Inc. 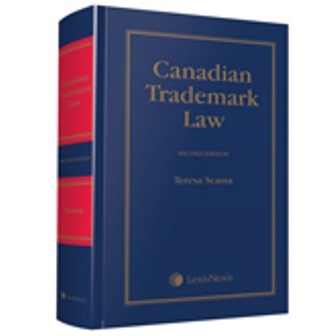 In Kraft Canada, Inc. v. Euro Excellence, Inc., the Federal Court of Appeal ruled that the secondary infringement provisions of the Copyright Act could be used to prevent the parallel importation into Canada of chocolate bars, due to copyrights in the trade-mark logos on the product labels. The effect of this decision, currently on appeal to the Supreme Court of Canada, is to give trade-mark holders a tool to prevent parallel importation in contexts where trade-mark law has generally been ineffective. While the use of copyright law to achieve a result in these circumstances is problematic, the author argues that the solution lies in legislative amendment rather than in creative interpretations of the Copyright Act. The doctrine of functionality has long served to prevent the creation of trade-mark monopolies over the functional features of wares. In Kirkbi AG v. Ritvik Holdings Inc., the Supreme Court of Canada emphasized the policy basis for the doctrine which it described as “a logical principle of trade-marks law”. In this article, the author examines the Kirkbi decision and identifies a number of issues which remain unresolved by the Court’s reasons. These include the reconciliation of approaches to functionality in earlier court decisions, the role of prior patents, the scope of the doctrine of functionality, issues of utility and ornamentation, and the subject matter to which the doctrine applies. “Intellectual Property and the Licensing of Canadian Government Geospatial Data: An Examination of Geoconnections’ Recommendations for Best Practices and Template Licences”, (2010) 54:3 Canadian Geographer 366-374 (with Elizabeth F. Judge) PDF Available here. In Canada, Crown copyright permits government to assert control over its works. These Crown rights have often been justified on the basis that government must assert intellectual property rights so as to be better able to control the accuracy, integrity, and quality of any information that reaches the public through Crown works. In this article, the authors examine GeoConnections’ template agreements for the licensing of government geographic data. They argue that not only is the basis and scope of claims to intellectual property rights uncertain, the objectives of quality control, data integrity, and accuracy do not appear to motivate the licence terms. The uncertainty as to the legal basis of the intellectual property claims is significant, as licences of this kind may give support to otherwise weak downstream claims by third parties to copyright in data products generated through the use of geographic data provided by the Crown. This paper examines how this concept of ‘balance’ evolves in decisions of the Supreme Court of Canada, from the landmark decision in Théberge c. Galerie d’Art du Petit Champlain to the most recent decision in Euro-Excellence Inc. v. Kraft Canada. It offers a critique of the notion of “balancing” as developed by the Supreme Court of Canada. The paper argues that this “balancing” approach is not supported by the language of the Copryight Act, that it is incoherent as a tool for statutory interpretation, and that it is ultimately inconsistent with the role of the judiciary. The paper argues that rather than being in opposition to one another, the goals of protecting the rights of creators and encouraging access to and dissemination of works are often served by the same measures. The paper suggests that the deep divisions at the Supreme Court of Canada in Robertson v. Thompson Corp. and in the Euro-Excellence case illustrate the failings of the Court’s “balancing” approach, and it argues for a more nuanced view of the public policy underlying copyright law. This very long chapter flowed from a report prepared for the Competition Bureau as part of a series of papers exploring the intersection of IP and competition law. In recent years, concerns have been expressed that the traditional balances struck in intellectual property law have been undermined through a range of practices, rules and phenomena that contribute to an extension of intellectual property rights beyond what was originally contemplated by policy-makers. 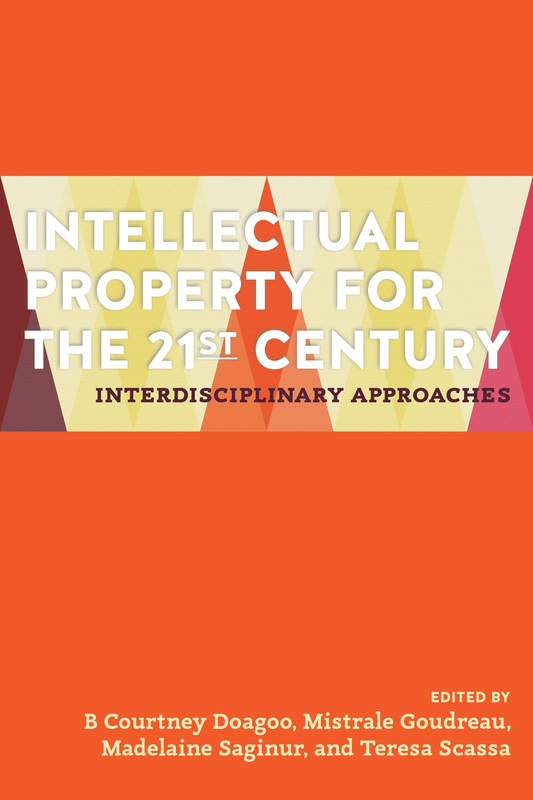 This chapter examines some of the strategies used to extend intellectual property rights under two broad categories. The first is the expansion of intellectual property rights through increasing overlap between areas of protection. The second involves the assertion of weak or uncertain intellectual property rights. In the section on overlapping protection, two issues are considered in detail: the overlap between patents and trade-marks, where trade-mark protection is sought over functional features of articles, and the overlap between copyright and trade-mark. This latter overlap is examined in the context of the use of copyright law to prevent the parallel importation of non-copyright goods, based on rights asserted in trade-mark logos or product wrapper designs. The exercise of weak or uncertain intellectual property rights is examined in the context of reverse-payment settlements in patent disputes between brand name and generic drug companies. These cases, which have proven problematic in the United States, highlight complex issues arising from a combination of factors. The paper provides a detailed exploration of the issues which arise in each example, and explores the possible impact of these practices on innovation and competition.